The more e-Commerce market expands, the more the need for all sorts of tools and services for e-retailers grows. As the store gets more popular and sales begin to grow, it becomes harder to manage the load of various operations, and that is when services like shipping management systems come in really handy. E-retailers use various shipping management systems to automate processes such as order picking, packing, and shipping. Such tools release merchants from many headaches and assist them to provide their clients with an excellent service. The variety of such systems is huge, and in order to stay competitive, they always keep an eye for opportunities to become more helpful and efficient for their customers. APIs can be a great help here as they serve as a means to get different systems connected. For B2B service providers, and shipping management systems, in particular, establishing such a connection between their software and shopping carts that their clients use is especially important. It allows to get access to all customer and order data necessary to organize and proceed with the shipping. 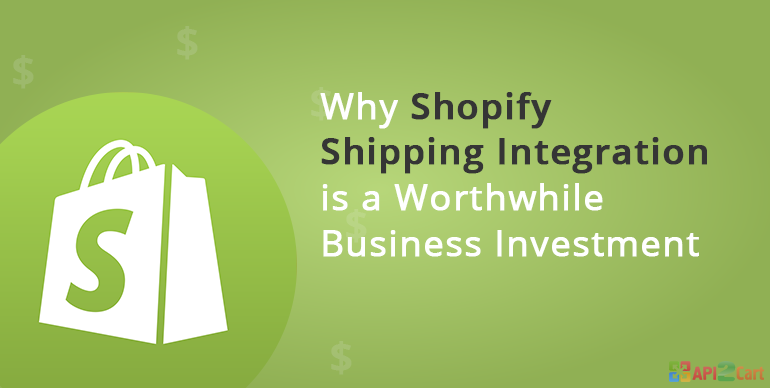 Let’s see how your shipping management tool can benefit from Shopify integration. We have prepared a presentation with all the key points covered. Enjoy! http://www.slideshare.net/API2Cart/shopify-shipping-integration If you have questions to ask, schedule a call with our representative or try out how API2Cart will work for your business.